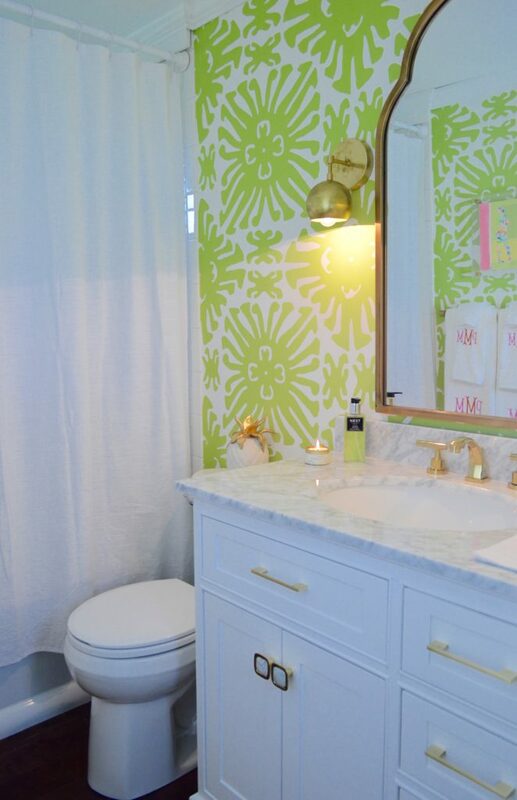 Remember when I shared my plans for my little bathroom redo? Well, ladies and gents… may I present you with this colorful bit of goodness! 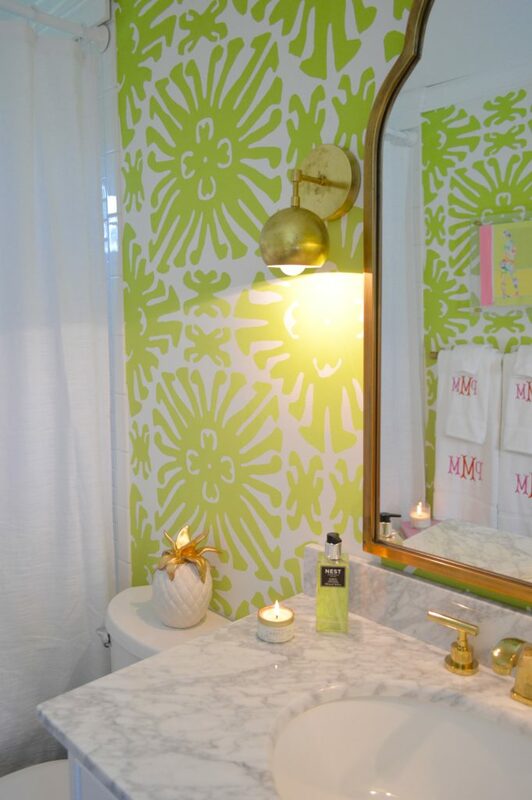 Is it weird that my favorite room in the house is the guest bath? Hopefully not too weird. I love how it turned out. 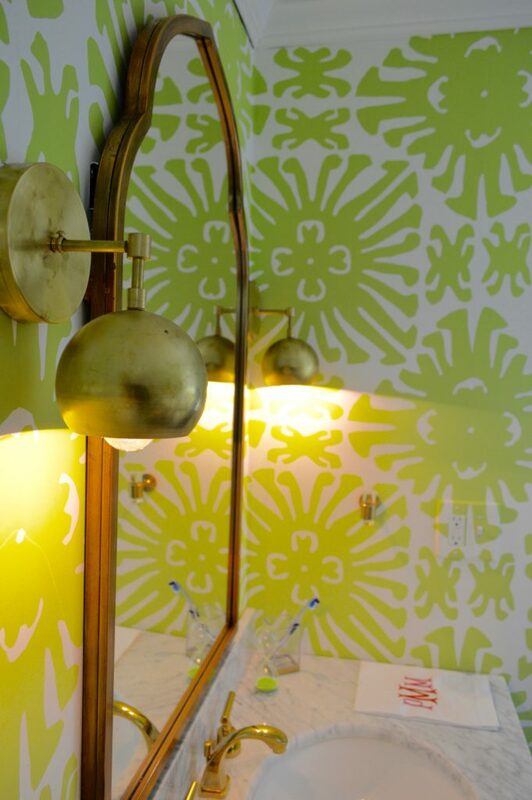 The Quadrille wallpaper might be a bold color but the pattern is so classic and beautiful. The brass and lucite accents add a touch of luxe. All of my lucite fixtures (towel bar, towel hook, toilet paper holder and even the picture frame) are from Sloan Lucite. Kristi the owner works with you, customizing the pieces for your wants and needs. When I came up with my lucite frame idea, she didn’t even bat an eye! 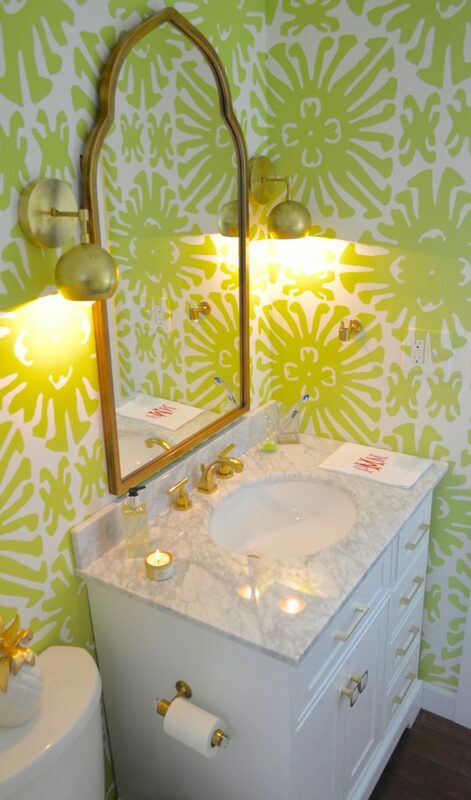 Speaking of brass, this Bellacor mirror is such a beauty. The bathroom originally had a vanity that was an antique piece of furniture with a mirror builtin, the problem though was the mirror was quite small and if you were over 5 foot tall it cut you off. The new mirror solved this issue completely. I know I mention Bellacor a lot but they literally offer EVERYTHING for the home and always have the best prices. Lighting is something that can totally transform a room. There are so many vibes a good light can give off and this sconce from Sazerac Stitches is giving me all the vibes! It’s funky and kinda retro but still super glam and feminine with its curved shape. Some other details? The gorgeous stone and brass drawer handles from Addison Weeks. I’ve been a fan of their jewelry for years now so when they recently introduced hardware I knew I needed it. It’s like jewelry for your furniture, people! It wouldn’t be a #PatriciasPalace room with a monogram though. 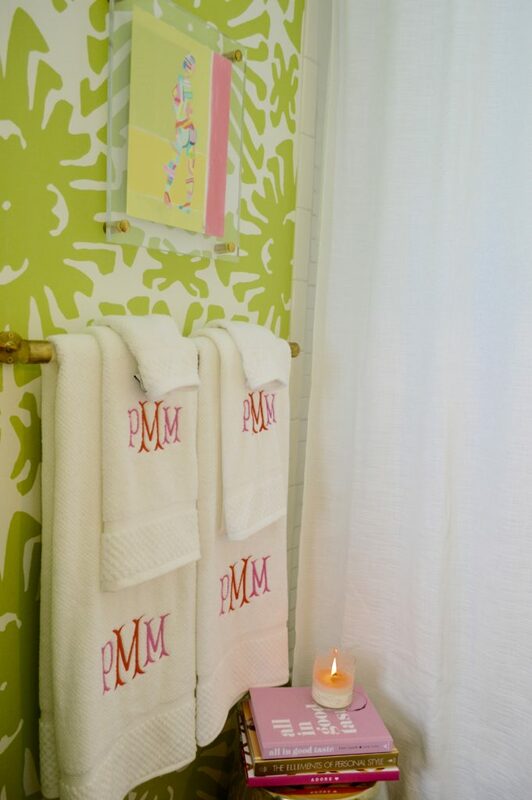 I worked with Monogram Mary for these PMM towels. 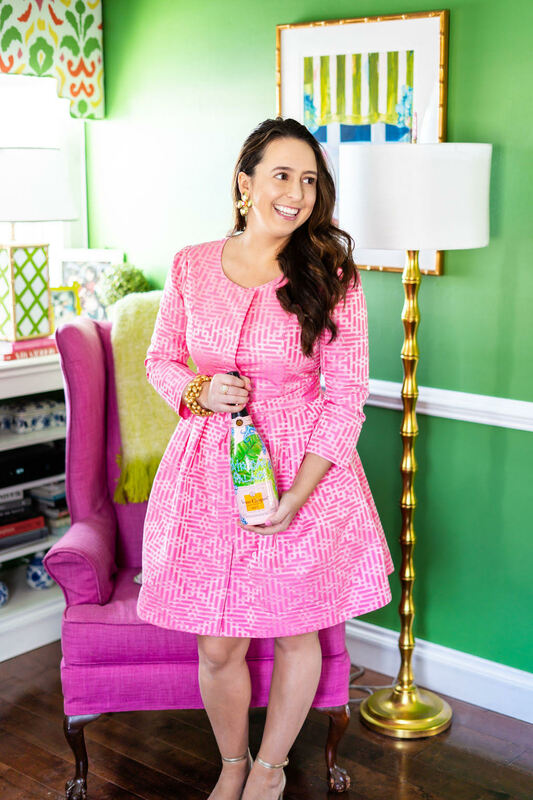 The pink monogram pulls in the pink from my Amanda Petro art perfectly. What do you think? Who wants to come over the weekend to enjoy the guest bath?